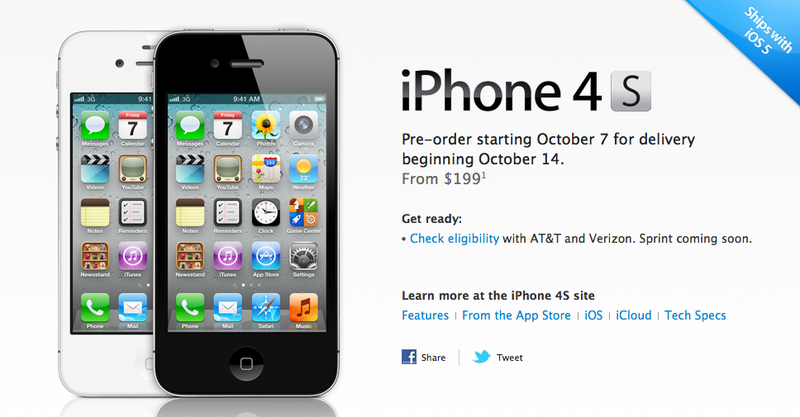 TiPb Asks: Are you pre-ordering an iPhone 4S and if so, which one? In a few hours, at 12:01am PDT / 3:01am EDT, iPhone 4S pre-orders will begin. So... are you pre-ordering? Or if you're reading this later, did you pre-order? If so, let us know what you're getting (or what you got!) Black or white? 16GB, 32GB, or 64GB? GSM/AT&T or Verizon or Sprint CDMA? Any problems with the ordering process? Did you get a confirmation? What's the shipping date? So. Many. Questions! Make sure you jump into the TiPb iPhone 4S forums and help us keep track! If you're not pre-ordering, are you waiting to stand in line at the Apple Store on launch day? Are you waiting for some other reason? Are you skipping iPhone 4S entirely?